Timothy has a double major in Finance and Economics from the University of Houston. After being part of multiple successful business ventures, the entrepreneur decided to do something completely different; follow his passion for gardening. After years of backyard gardening, a hobby turned into the creation of Big City Gardener: a.25 acre urban farm with poultry and 9,000 square foot warehouse- where he grows mushrooms and other produce. The urban farmer has joined the City of Houston's Youth Violence Prevention Coalition with the Houston Health department. As a Sub Committee leader he looks to use his gardening knowledge to help find ways to provide the youth opportunities through urban agriculture. Timothy volunteers his time, knowledge and farm space to spread the importance of knowing and understanding where your produce comes from and self sufficiency. 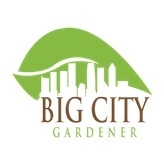 Thank you for growing with Big City Gardener!